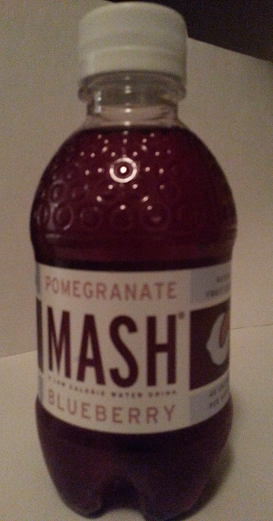 I came to this expecting it to be sweet, as berry-flavored beverages and grenadine-syrup-based flavors usually are. I was pleasantly surprised to find that it isn’t. It doesn’t have the underlying spiciness of the ginger in the Lemon Peel Ginger Root (LPGR henceforth), nor the basic citrus acidity of the lemon, so most people will perceive it to be sweeter, but not nearly as overpoweringly sweet as the typical orange or berry-flavored soda. As with the LPGR, the carbonation is very light, detectable only in the fizziness on the tongue. I don’t like this as much as the LPGR, and can’t think of any particular food I’d recommend it with - but that’s just because it’s not to my taste. If you don’t favor tart and spicy as much as I do, you’ll probably find this a nice change from cloyingly-sweet berry-flavored beverages. I find this product at a local ‘gourmet’ deli, and also at one of the food vendors in the Dining Court at Grand Central Terminal. I’ve only seen this sold as single 20 oz. plastic bottles. Sweetened with crystalline fructose and sucralose. Boylan Bottling Co. - note that Boylan’s website has absolutely no mention of this product line anywhere to be found.